This book recounts a little-known history of the estimated 2,000 babies born to black GIs and white British women in the second world war. The African-American press named these children 'brown babies'; the British called them 'half-castes'. Black GIs, in this segregated army, were forbidden to marry their white girl-friends. Nearly half of the children were given up to children's homes but few were adopted, thought 'too hard to place'. There has been minimal study of these children and the difficulties they faced, such as racism in a (then) very white Britain, lack of family or a clear identity. The book will present the stories of over fifty of these children, their stories contextualised in terms of government policy and attitudes of the time. Accessibly written, with stories both heart-breaking and uplifting, the book is illustrated throughout with photographs. 'Lucy Bland's stories of Britain's Brown Babies evoke a potent mix of rage, tears, joy and thankfulness: rage at everyday racisms, both institutional and individual, tears for the cruelties suffered, joy at the love and care that some found and thankfulness that we can hear these voices.' Catherine Hall, Emerita Professor of History, UCL 'Using oral histories as well as revealing analyses of governmental policies and the politics of racially warped institutions, Lucy Bland's wonderful book lays out in no uncertain terms how the stigma of illegitimacy coupled with racism shaped the experiences of children born to white British women and African American G.I.s during and in the aftermath of World War II.' Sonya O. 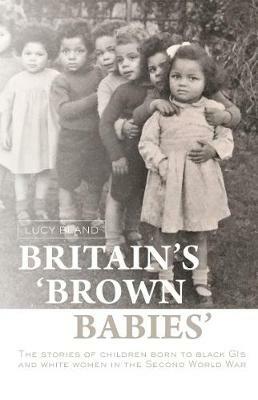 Rose, Professor Emerita of History, Sociology and Women's Studies, University of Michigan 'In this thoughtful and poignant work, Lucy Bland not only meticulously details the history of Britain's 'brown babies' but, by placing their voices at the very centre of her scholarship, offers invaluable fresh perspectives. Bland's compassionate and insightful foregrounding of these moving memories of racial mixing and mixedness can't be applauded strongly enough. An outstanding achievement.' Dr Chamion Caballero, Goldsmiths, University of London -- .